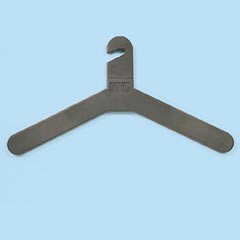 Adaptable to public and private areas, Office Rack's unique slotted hangers reduce hanger theft and unpleasant clatter when hanging or unloading coats. Available in 2, 3, and 4 foot lengths. Hangers included. 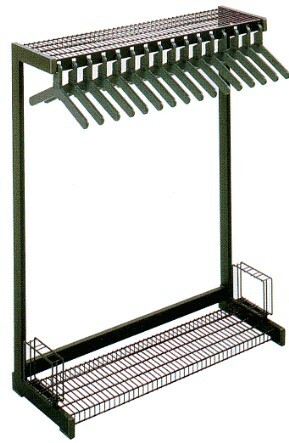 Pre-set 3" hanger spacing ensures proper ventilation. This feature can also be removed if wanted. Umbrella holders with a molded drip tray.